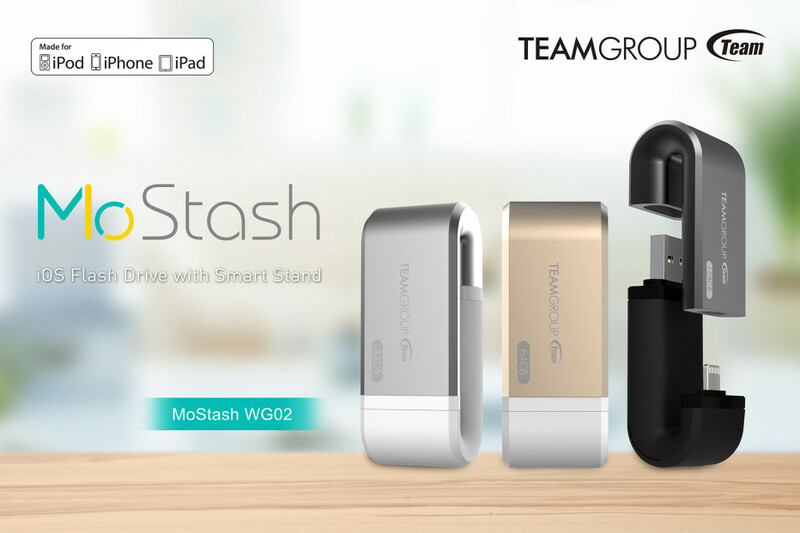 The memory and memory peripherals maker Team Group has announced the existence of a new iOS flash drive called MoStash WG02. 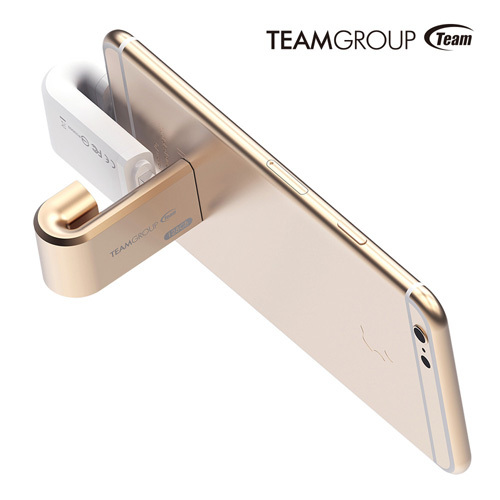 The device is said to be the world’s first flash drive for the iPhone, which can transform itself into a mobile viewing stand. The MoStash WG02 uses a Lightning/USB 3.0 dual connector and can transform into a stand through interlocking its smart cover. The new Team Group flash drive measures 22 x 67.2 x 26.1 mm and weighs just 72.6 grams. The device is compatible with a large number of Apple devices including iPhone 6s Plus, iPhone 6s, iPhone 6, iPhone 6 Plus, iPhone 5s, iPhone 5c, iPhone 5, iPad Pro, iPad Air 2, iPad Air, iPad mini 4, iPad mini 3, iPad mini 2, iPad mini, iPod Touch (6th generation) and iPod Touch (5th generation). The MoStash WG02 is made from a combination of metal and rubber that helps protect the drive from the elements, shock and more potentially damaging events. When using the Lightning connector the MoStash WG02 reaches up to 30 MB/sec of read speed and up to 15 MB/sec of write speed; in USB 3.0 mode the drive reaches 90 MB/sec of read speed and 30 MB/sec of write speed. The MoStash will also offer several capacities – 16 GB, 32 GB, 64 GB and 128 GB.